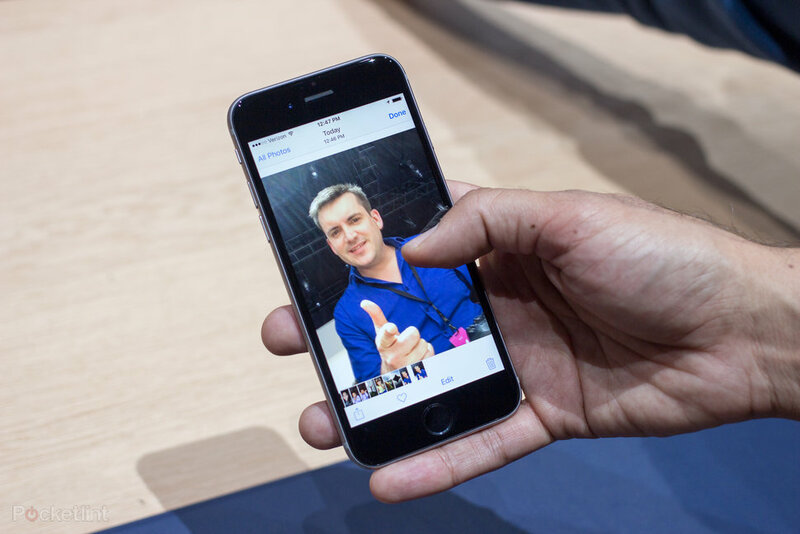 Apple has released iOS 9.1 to the public after months of beta testing. It is the first major update to iOS 9 since its debut in September. The new OS from Apple brings a host of new features, tips and tricks. We’ve worked our way through the operating system in order to help you take advantage of the new stuff and allow you to understand the latest software on your phone. Many of these tips are from iOS 8, but we’ve included all the new gems from iOS 9 and iOS 9.1, some of which you might not know about yet. We’ll keep an eye on things as new updates roll out, and if you’ve got any tips of your own that we’ve not covered, feel free to mention them in the comments. Disable contact photos: You can now toggle contact photos on or off on iPhone 6 and later. To change the setting, which is on by default, go to Settings > Messages > Show Contact Photos. Get new wallpapers: There are new wallpapers of Jupiter, Mars, Neptune, and a desert landscape in iOS 9.1. To change your wallpaper to one of Apple’s images, go to Settings > Wallpaper > Choose New Wallpaper, then select a new wallpaper from Apple Wallpaper, and tap set. You’ll also have to set it to lock screen, home, or both. Use the new emoji: iOS 9.1’s most notable new feature is the new emoji characters added to the keyboard. They include images for burrito, avocado, unicorn, taco, and even a middle finger. You can find the new emoji in the standard emoji keyboard, which you can use in any app that uses a keyboard. Tap in a text field, then tap the Smiley face icon (if you have multiple keyboards turned on, touch and hold Globe icon), then select the new emoji. Adding emoji keyboard: To add the official emoji keyboard, go to Settings > General > Keyboards > Keyboards > Add New Keyboard. Scroll down and select the Emoji keyboard (it’s after the Dutch keyboard). 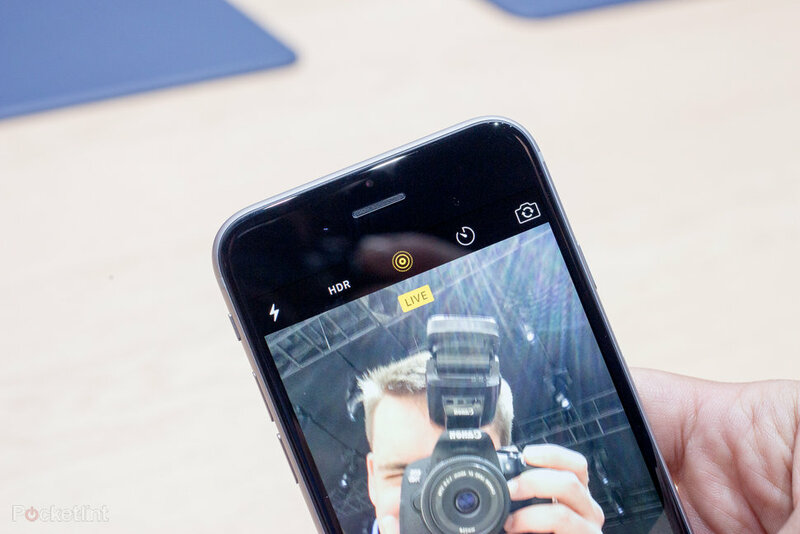 Take a Live Photo: In iOS 9, your camera can capture 1.5 seconds before and 1.5 seconds after a photo in order to capture a “live photo” with a sense of movement, but often times this leads to people taking photos of their pockets. With iOS 9.1, Apple has update Live Photos to not record if it senses your phone is being lowered or raised. To take a live photo from the Camera app, tap the Live Photo button in top center (looks like a set of diffusing rings) to toggle it on (yellow), and then tap the shutter button. View Live Photos: Once you have taken a Live Photo, you can view it in the Photos app on your phone. Open the image, then hard press on the photo (activates 3D Touch), and play it. Setup Apple News: Apple’s News app has finally arrived in the UK. It’s basically a reading experience that combines the visual look of a magazine with the immediacy of digital media. You can follow news from over a million topics, fetch news based on your interest, and pull articles from your favourite sites and sources – including Pocket-lint. When you open News for the first time, you’ll be asked to select your topics and news sources. From there, the app will load, and you’ll see a stationary menu bar running along the bottom of every screen within the app. It houses tabs for the following screens: For You, Favourties, Explore, Search, and Saved. New App Switcher: When your phone is awake and past the lock screen, and you double tap on the home button, iOS will kick up an app-switching interface so that you can toggle between apps, exit apps, etc.Your apps will now appear as apps in a card stack that you can scroll through from left to right. You can identify each card in the stack based on the app icon and name above it. To close an app, you still swipe up on the card. Now, however, you can also swipe multiple cards at the same time, using multiple fingers. 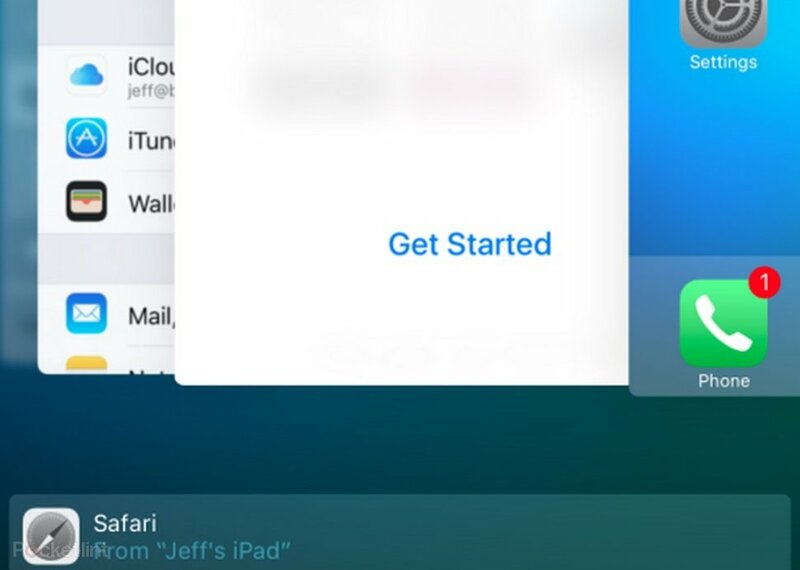 Handoff options appear at the the bottom of the app switcher. New Spotlight Search view: Spotlight has returned to the left of the main home screen, with a built-in, Siri-powered Proactive assistant. Spotlight is also accessible as a pull down from any home screen. In the new Spotlight view, Apple has added your recent contacts, apps and location-based suggestions, and your Apple News feed. Better still, Apple has opened Spotlight to third-party developers, meaning you’ll soon be able to get Spotlight search results from, for instance, Netflix, Facebook, Google Calendar, etc. You’ll also immediately notice that the new Spotlight view works with proactive Siri, which lets you tap a mic symbol to audibly search as well as get suggestions based on your preferences and how you use your phone each day. Disable Proactive Assistant: If you don’t want Siri to suggest apps, people, locations, and more when you use the new Spotlight Search, you can always disable Siri Suggestions (in Settings>General). Remove apps from Spotlight Search: The new Spotlight can surface content from all your apps, but you can control which apps it can peek into just by going to Settings>General>Spotlight Search. From there, you can toggle on/off exactly which apps you want to include in Spotlight search results. Tell Siri to remember what you see on screen: Siri can set reminders. You know this. But now she can also remind you about whatever is displayed on your device screen – whether it be a website or note. Just say “Siri, remind me about this,” and she’ll scan the page and add relevant details to your Reminders app. Ask Siri to fetch a photo for you: Siri can now search your photos based on their information and criteria. Ask her to find a specific photo from 14 July 2015, for instance, and she’ll do just that. Amazeballs. Shut up Siri: Sometimes Siri is just useful when she isn’t speaking. Thankfully, a new setting called Voice Feedback (Settings>General>Siri) lets you decide when she can use her voice. You can toggle the setting to always on, hands-free only (which works only when using “Hey Siri” or connected to a Bluetooth device), or a new ring switch option (which stops Siri from speaking when your ringer is switch is on silent). Disable contacts found in Mail: If you don’t want Siri and Spotlight to suggest unknown contacts from Mail, such as people you haven’t added to your address book but still appear in suggestions, go to Settings>Mail, Contacts, Calendars. From there, toggle off the Contacts Found In Mail option. Add an email attachment in Mail: You’ve always been able to insert photos and videos into emails, as well as use the Share button to email stuff from apps, but iOS 9 has finally added a simple Add Attachment option when you double-tap or long press to see additional options. Just tap it to browse and attach anything that’s stored in your iCloud Drive. 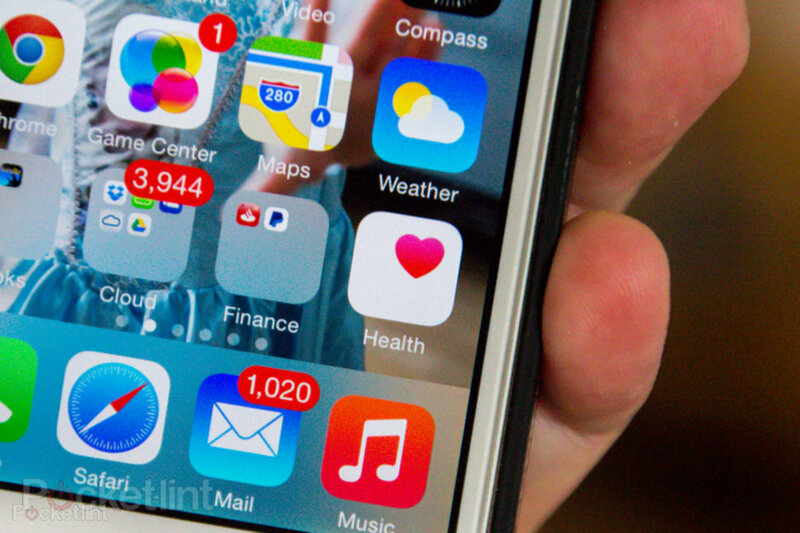 Delete all your emails in Mail: There is a new Trash All button in Apple’s Mail app. Finally. Just hit the edit button and then Trash All to clear out your Inbox with a single tap. Brilliant. Find on Page in Safari: To Find text in a Safari page, you previously had to tap the address bar, then type a word, then scroll down to the bottom of the address bar to see select the instances in which that word appeared on your page. Now, you can hit the Share button on a page to see a Find on Page option (it surfaces a pop-up over the keyboard). Disable frequently-visited sites in Safari: Safari displays icons of your most visited websites every time you open a new page. It lets you delete individual ones by tapping and holding on them, but now you can turn them off entirely by going to Settings>Safari. From there, turn off Frequently Visited Sites. View a desktop version of any website: Apple let you request a desktop version of a site when in Safari on iOS 8, but with iOS 9, it has added the option to the Share menu. You can also tap and hold the reload button in the address bar of Safari to load the Request Desktop Site option at the bottom of your screen. Change the look of Safari Reader: Safari’s Reader has a new button within the address bar. It has options for changing the look and feel of Reader. You can change fonts, font sizes, colour themes, etc. Transit directions in Maps: In select cities, Apple now offers a new Transit view, with lines and stations for subways, buses, trains, and ferries. So, when you plan a route, you’ll see the whole trip laid out with transit information. You can even ask Siri for transit directions. And with the new Nearby feature, you can also get ideas for places to shop, eat, etc. Sketch in Notes: The Notes app has been overhauled. It now lets you add checklists, photos, maps, web links, and even sketches that you can draw with your finger. Every note has an option above the keyboard that has new menu tools. Tap it to create a list, add a photo, change the formatting, and doodle. And of course, thanks to iCloud, changes to your notes will be updated across all your devices and on iCloud.com. You can even organise your notes into folders. Save attachments to Notes: The system-wide Share button has added support for Notes. So, when in Safari, for instance, tap the Share button to save attachments, such as a link or document, to a new or existing note. There’s also an Attachments browser in Notes that organises attachments in a single view (tap the grid icon in the lower-left corner). Setup Wallet, not Passbook: Newsstand became News, and Passbook has become Wallet. 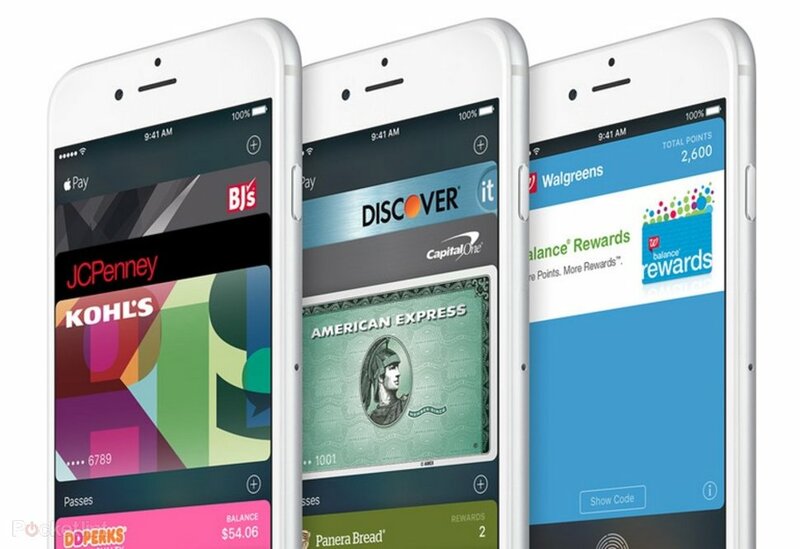 You can add cards using the same method still, such as boarding passes, tickets and gift cards, but it’s also home to your Apple Pay credit, debit, and store cards, as well as upcoming rewards cards from stores like Walgreens. Select an Apple Pay payment card: When paying with Apple Pay, you can now quickly choose which card you want to use just by double-clicking the home button while on the lock screen. It’ll bring up all your cards on your iPhone. Go back to apps: When you open a link or tap a notification while using an app, you’ll be brought to a new app in order to view the information in full detail. Now however you’ll also see a new “Back to…” button at the top left of the just-opened app, giving you the opportunity to tap it and instantly go back the app you were using. Track your reproductive health: The Health app has finally added a Reproductive Health tab, with options for basal body temperature, cervical mucus quality, menstruation and ovulation, and more. Delete an alarm: Apple’s swipe-to-delete gesture no works in the Clock app. To delete an alarm before, you had to tap the edit button and delete from there, but now all you have to do is swipe on the alarm itself. Hide photos from Moments, Collections, and Years: If there’s a photo you don’t want people to easily see in your main library, select the photo (or photos), then tap the Share button, and select the Hide button at the bottom to hide it completely (though it will still be visible in All Photos and the album it’s in). 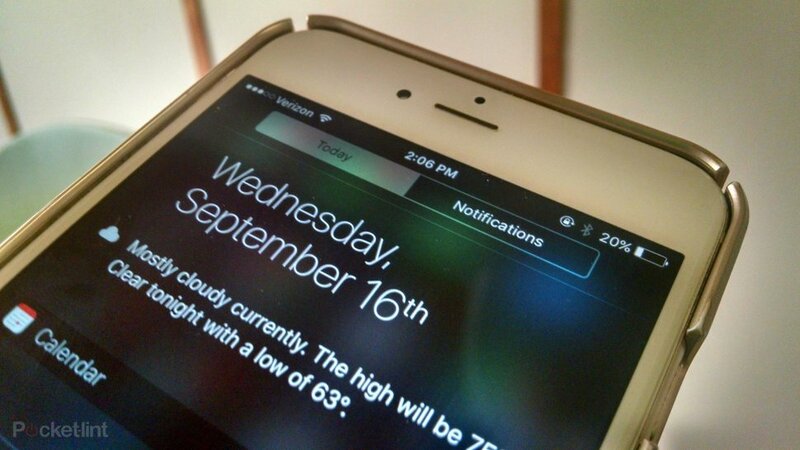 More smart albums: With iOS 8, Panoramas and Bursts were automatically sorted into folders. And Apple is continuing this smart album trend with iOS 9. It has added separate folders for Selfies and Screenshots. In our experience, the Screenshots folder tends to always get it right, while the Selfies is hit or miss. Easily select photos: You’ve always had to tap individual thumbnails in the Photos app to select multiple photos at once, but now, you can simply swipe your finger over a string of thumbails to select photos. They’ll all get blue checkmarks and can be shared, moved, or deleted. Change Slow-Mo speed: Newer iPhones allow you to record in Slow-Mo mode. You could always change the frames per second, though Apple recently moved that options to Settings>Photos & Camera>Record Slo-mo. Change video resolution: Go to the bottom of Camera within Settings and you’ll see a new Record Video option that lets you change the quality of your recoded videos to either 720p HD at 30 fps, 1080p at 30 fps, or 1080p at 60 fps. Zoom in during video playback: In iOS 9, you can now pinch to zoom in on a video just like you would a photo. Exit photo preview: When browsing your pictures in the Photos app, you can enlarge a photo in the grid to see it full screen, but now, you can also easily swipe down on preview to toss it away and return to the grid. Create a fancy slideshow: Apple’s Photos app has a slideshow feature, but the controls have been expanded and moved from Settings. Now, when you initiate a slideshow from the Share menu, you’ll see a new Options button in the corner that’ll let you change the theme, music, speed, and transitions. Search in Settings: The Settings app is full of switches. With iOS 9, you no longer have to remember where they are, because the Settings app now has a search field at the top. Use it to find the switches you need. Easily switch LTE when Wi-Fi is weak: Imagine you’re connected to the Wi-Fi in your house, then you go outside to mow the lawn, and while doing that, you check your email but can’t get any messages to load. It’s because you’re still connected to your home’s Wi-Fi – and the signal is too weak. A new feature called Wi-Fi Assist will change all that by allowing your iPhone to fall back to cellular data when Wi-Fi is poor. You’ll see it at the bottom of Settings>Cellular. Enable Low-Power Mode: The new Low Power Mode (Settings>Battery) lets you reduce power consumption. The feature disables or reduces background app refresh, auto-downloads, mail fetch, and more (when enabled). You can turn it on at any point, or you are prompted to turn it on at the 20 and 10 per cent notification markers. Find battery guzzling apps: Apple now specifically tells you which apps are using the most juice. Go to Settings > Battery and then scroll down to the new section that gives you a detailed look at all your battery-guzzling apps. Disable keyboard capitalisation: It may seem like a small change, but the keyboard has been updated to reflect capitalisation. Until iOS 9, whether you touched the shift key or not, all the letters on the keyboard were capitalised. Now, the keyboard shows the letters in lowercase when shift is off. But if you don’t want this, you can disable it by going to Settings >Accessibility>Keyboard and toggling off the Show Lowercase Keys option. Disable keyboard animations: Apple’s keyboard has a pop-up character animation that serves as feedback when you tap the keys. Now, for the first time, you can shut it off (Settings>General>Keyboard>Character Preview). Disable Shake to Undo: Apple has had an undo gesture that lets you shake your phone to undo your last action (or shake again to redo it). But if you hate this option, you can now disable it by going to Settings>General>Accessibility. From there, toggle off Shake to Undo. Simples. Use a six-digit passcode: Apple has always given you the chance to set a four-digit passcode, but now it offers a six-number option, meaning hackers now have a 1 in 1 million chance of cracking it, rather than 1 in 10,000. Just go to Settings>Touch ID & Passcode>Change Passcode, and then select Passcode Options. View notifications based on when they arrived: Under a new Sort Order tab in Settings>Notifications, you can switch your notifications between Recent and Manual. The latter setting will bring up another option called Group By App. When enabled, it groups your notifications in the Notification Center by app. When disabled, you’ll get a running list of your notifications as they arrive. Handy, right? Change how your screen responds to taps: A new section under Accessibility in Settings lets you change how your screen responds to taps. 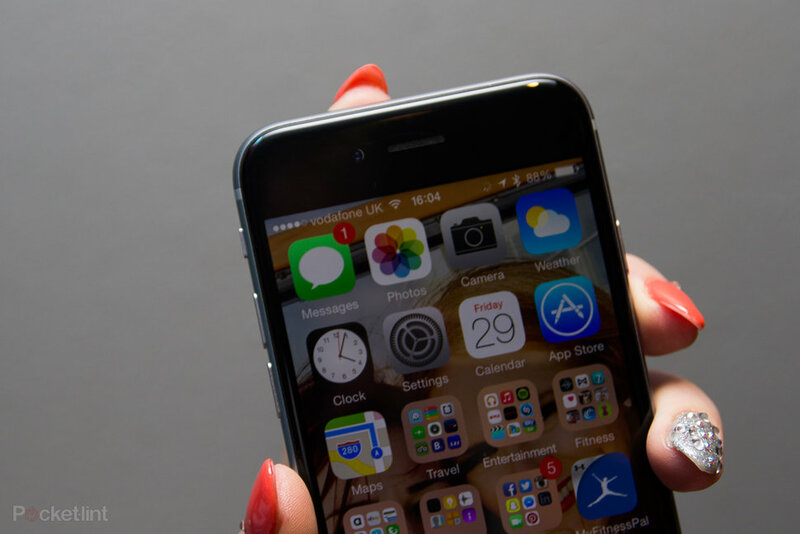 You can tell your iPhone to ignore repeated touches. You can also increase the duration of taps before recognised, and much more. Check your battery via the Battery widget: The Notification Center has a new widget under the Today view, that’ll let you see the battery life remaining in your iPhone and Apple Watch. If you don’t like this widget, tap the Edit button at the bottom of the screen and then tap the delete button. 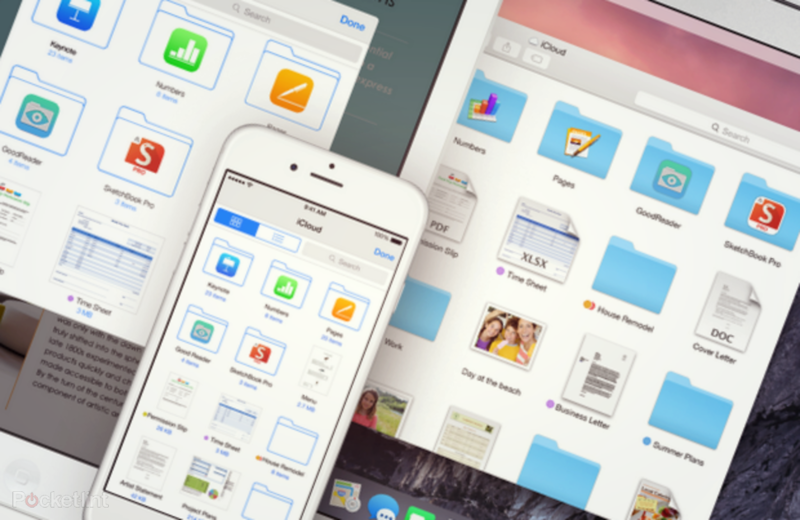 Add iCloud Drive to home screen: iCloud Drive can let you easily transfer and sync files between your devices, and now you can directly access it on your iOS device. Go to Settings>iCloud>iCloud Drive, and then you’ll see a “Show on Home Screen” toggle that you can switch on. Slide over a second app: While working on a newer iPad, you can now swipe from the right edge of the screen to bring up a new Slide Over feature that lets you access a shortcut bar of apps and browse a second app inside a smaller panel. Use two apps side-by-side: When using the iPad Air 2, you can pull an open app further to the side to enter a Split View and run two apps simultaneously. Picture-in-picture video: Apps that support this feature will allow pop-up video playback in a small window that you can drag around, pinch to adjust its size, and or tap to close. When watching a video on your iPad, you’ll see a new icon in the bottom-right corner of the screen that you can tap to minimise it into a smaller player. Make your keyboard a trackpad: You can now use the keyboard as a trackpad. 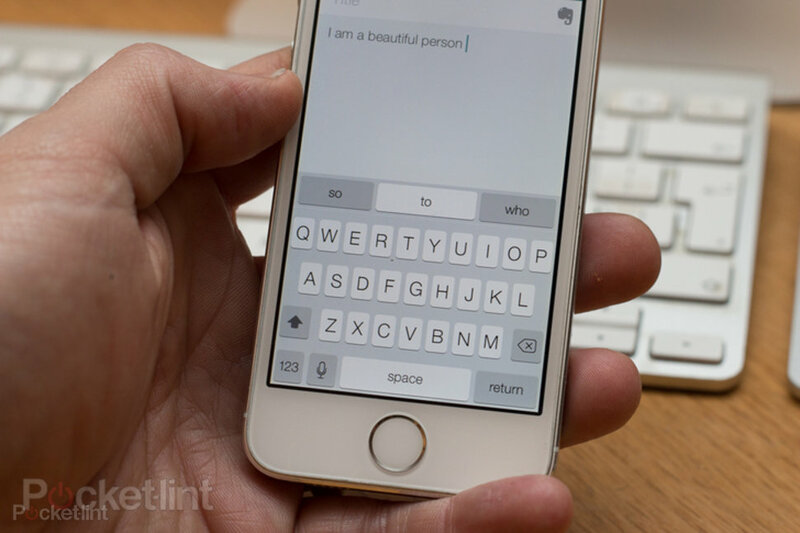 Just swipe with two fingers to move your cursor and select text. There’s also a new shortcut bar with controls for cut, copy, and paste. Set the brightness: It’s now moved from Wallpapers & Brightness to Display and Brightness. Text Size and Bold Text: To change the default text size and whether you want all fonts to be bold to make the easier to read go to Display & Brightness > Bold Text. Favourite and recent people: Double tap on the home button to reveal the app tray. Above your apps you’ll see circles of the people you’ve recently talked or messaged with. Swipe to the left to reveal your Favourites. Pressing on their face (or icon) reveals shortcuts to call, message, FaceTime, and FaceTime Audio them. Disable Favourites and contacts showing in App Switcher: Go to Settings > Mail, Contacts, Calendar scroll down and toggle “Show in App Switcher”. When you go back to the App Switcher mode they will have gone. 10-day forecast in weather: Go to weather, and on any city swipe up. You now get to see the 10 day forecast as well as additional information like a mini weather forecast for the day, sunrise and sunset times and the chance of rain. Hey Siri: To get siri working by just shouting at it rather than pressing a button go to Settings > General > Siri > Allow “Hey Siri”. A word of note you will need to have it connected to a power source for it to work. Choose a new wallpaper: New wallpapers to be had in the Settings > Wallpaper. Setting up Do Not Disturb: If you travel a lot to different time zones it’s probably a good idea to schedule your iPhone to go into to Do Not Disturb mode. Go to Settings > Do Not Disturb and then schedule in a time. We’ve set ours from midnight to 6am. During that time all calls and alerts will be silenced. If you are worried that you might miss an important call you can set the phone to allow calls from Favourites or repeated calls if someone is calling more than once in a three-minute window. You can now in iOS 7 set it so the Do Not Disturb works only when you’ve got the phone locked or all the time regardless of what you are doing. Handy if you are in the middle of a presentation. Creating nested folders: It’s a glitch, but it does work if you are timely. Create a Nested folder by dragging one app icon on to another one. Then quickly drag that folder into an existing folder. If you are not timely enough, keep trying and you should achieve a nested folder. Enable Wi-Fi calling on EE: If you are a EE customer in the UK you can enable Wi-Fi calling. To do so go to Settings > Phone > Wi-Fi Calls. Mark as Read: In your inbox swipe from left to right to reveal a “Mark As Read” icon. If it’s a conversation you will have to do this for as any time as there are unread messages. Quick delete (Trash): If you do a continual swipe from right to left on an email in the inbox it will delete it without you having to swipe and then tap delete (Trash). Changing the swipe options: You can also change what happens when you swipe left or right in Settings. Go Settings > Mail, Contacts, Calendars > Swipe Options and then set your Swipe Left command and your Swipe Right command. Options are limited, but it is something. Minimise email you are working on: If you are mid composing or replying you can now drag that email to the bottom of the screen so you can still access the rest of your inbox. To do this press ad hold on the title of the email at the top and drag towards the bottom. To get it back, just tap on the parked email. Reply notifications: If you are waiting for a specific response from an email and don’t want to have to keep checking your phone every two minutes you can opt for iOS 9 to notify you. In any message you’ve received tap on the Flag icon at the bottom left of the screen and then select Notify Me. Confirm your decision and when they reply you’ll know about it. To send an email with a notification alert already one it, select the bell icon in the subject line. Time Zone override: The Time Zone Override when on will let you always show event data and times in the selected time zone. When off, events will display according to the time zone of your current location. If that sounds like something you want go to Settings > Mail, Contacts, Calendar > Time Zone Override and toggle away. Build out your contacts book: When you get get a mail from someone and they’ve got a signature, Apple now reads that information and asks you whether you want to add it to a contact. If you don’t you can choose to ignore, but if you do, press on the Add to Contacts button at the top of the screen. Unread emails: Finally you can now see how many unread emails you’ve got. Go to Mail > Mailboxes > Edit and select Unread. VIP, Flagged, All Sent, To or CC, Attachments, All Drafts: You can also do the same for a host of other folders to for the first time. Go Mail > Mailboxes > Edit and select which ones you want. Change Flag style: Yep you can change the Flag Style from flags to circles if that gets you excited. Settings > Mail, Contacts, Calendars > Flag Style. Search: Drag down in your inbox to reveal a search box. You can now search your entire inbox for a keyword rather than just To, From, Subject. You can also limit your search to All mailboxes or the current mailbox you are in. Furthermore you can also limit it to conversation threads. Mark all as read: You can now mark all as read in Mail. Yay. In a mailbox, or the combined inbox, you just tap “Edit” at the upper right, then tap “Mark All” at the lower left. Then choose “Mark As Read” from the pop-up menu and all your messages should be marked as read. DuckDuckGo: If you want to set DuckDuckGo as your default search engine over Google, Yahoo, or Bing, go to Settings > Safari > Search Engine and select the private friendly search engine as the default. Auto suggesting websites: Like Safari on the desktop you can have the iPhone or iPad Safari recommend suggested search results as you type. It’s on as default but if you don’t want it, go to Settings > Safari > Search Engine Suggestions and toggle the feature off. Auto suggesting apps: Likewise as you type in popular app names into the Safari search url box Apple will try and match that with apps you either have or might want. It’s on as default, but if you want to turn if off go to Settings > Safari > Spotlight Suggestions. Getting the website link quickly: Settings > Safari > Quick Search will determine whether Safari offers up website matches or not for you. Making websites load faster or saving your data: Safari preloads the first hit of the search result to make loading your choice seem quicker. The downside is that this could use up data. If you want to turn it off go to Settings > Safari > Preload Top Hit and turn it off. Searching on page: If you are looking for a specific word on a page, simply start typing that word into the URL bar at the top of the page. The results will show you the google search results first but if you scroll down it will show you “On This Page” and let you jump through the mentions of that page. Scan your credit card: Rather than having to type all your details you can now use the camera to scan your credit card. When it comes to entering the credit card details either press to auto fill if you are already using that feature with Keychain, or press it and then select Use Camera on the next menu you get. Enabling Handoff between iOS 9 devices: Go to General > Handoff & Suggested Apps and then toggle the box. Accessing Handoff apps: On the Lock Screen press the app icon in the bottom left corner or if you are using the phone already, double tap the Home button and swipe left to reveal the app page to the left of the home screen. Stopping your iPad ring when someone calls your iPhone: One of the new features of iOS allows you to take calls on all your devices regardless. To stop you feeling like you are in the last scene of lawnmower man where all the phones ring at once go to Settings > Face time and turn iPhone cellular calls ring. 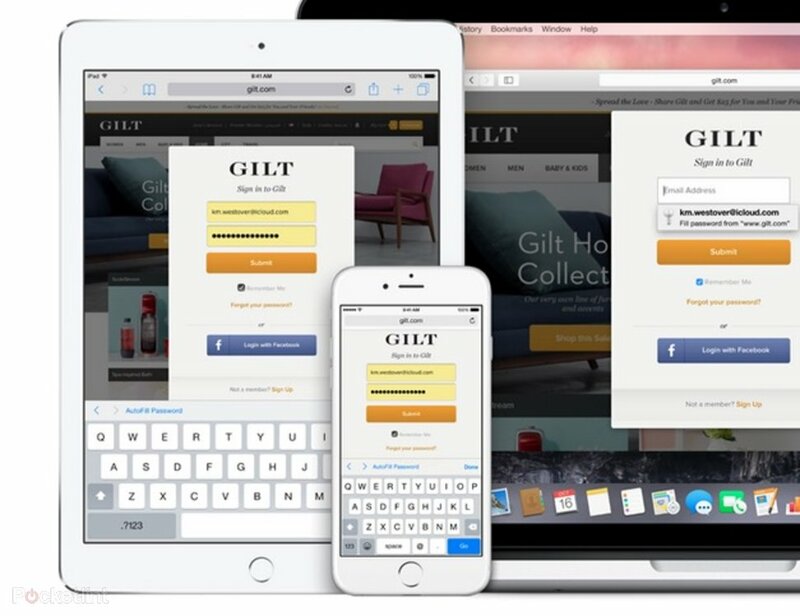 Allowing SMS messages on your Mac: To do this you need to enable the feature on your iPhone. Make sure you are running iOS 8.1 and then go to Settings > Messages > Text Message Forwarding. Find your Mac or iPad you want to allow access and pair the two devices with a security code. 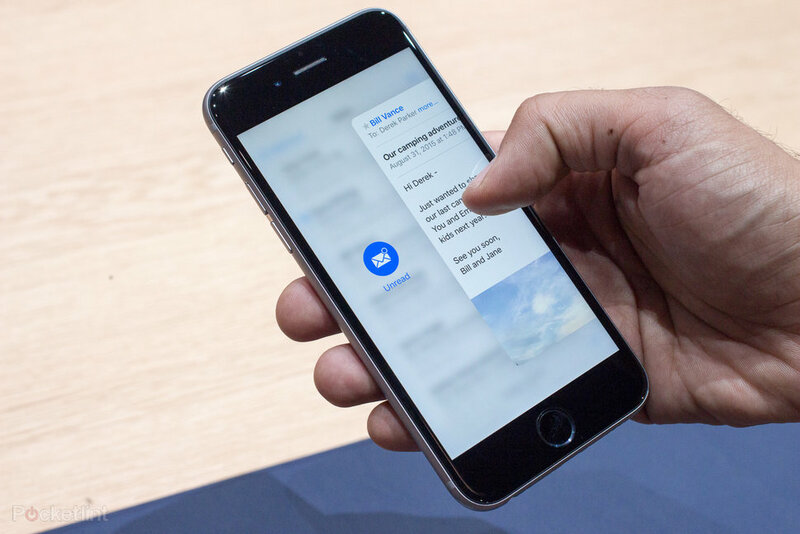 You’ll now be able to see and send Text messages via the desktop. Picking your Emoji colour: In iOS 8.4 Apple added a load of new emoji and in particular emoji that has skin tones. To access them go to the emoji keyboard in any app and long press on the one you want to use. If it as alternative options they will show. Apple then lets you set the colour you want to use so you don’t have to make a choice every time. Adding third party keyboards: Install the app and follow the instructions in the app. At some point it will ask you to go to Settings > General > Keyboard > Keyboards and add the third-party keyboard. Accessing additional keyboards beyond Emoji: If you have more than three keyboards installed the keyboard will show a globe icon next to the spacebar. In any app that has a keyboard tap on that globe icon and then again to reveal the next keyboard you’ve got installed. Hiding or showing auto suggestions on QuickType keyboard: The new Apple keyboard shows word suggestions on what you type. If you don’t use this you can hide it to give you more space on the screen. gently press and hold at the top of the auto-suggest bar and drag it towards the top row of keys. You can bring it back by dragging up from the top of the keyboard if you change your mind. What time? : See when a message was sent by dragging the message bubble to the left. More: Pressing and holding on a message will bring up a Copy and More menu. Select more and you can delete messages you don’t want to show. Sadly it doesn’t delete it at the receivers end though. Quick Voice message: If you press on the new mic button on the right of the text box you can start recording a verbal message. Lift your finger to stop to reveal a playback button. Once happy either swipe up or tap the arrow to send it or swipe left or tap the x button to cancel. Details: To see more information about the sender press the word Details at the top right of the screen. It will allow you to send your current location or your constant location. Mute someone: If someone is constantly badgering you, go into a message from them, press Details, then toggle on the Do Not Disturb button. This works for SMS as well as iMessages. See attachments: Go into a message from them > Details > and scroll down to reveal all the attachments you’ve sent them via iMessage. Delete messages: As before swiping from right to left in the Messages hub and you can quickly delete a conversation. Delete older messages automatically: Settings > Messages and then scroll down to Message history. Here you can Opt to keep Messages forever, 1 year, or 30 days. Automatically deleting audio or video messages: Apple by default sets it so once you’ve sent an audio message it will delete from your iPhone or iPad after two minutes. If you want to keep the message go to Settings > Messages and scroll down to Audio Messages or Video Messages sections and toggle the Expire setting. Send iMessage as SMS: If you are having trouble sending your iMessages (over data) you can opt to have iOS 9 revert to sending the message as a SMS instead. Go to Settings > Messages and tick the relevant box. Turn on iCloud Drive: Go to Settings > iCloud > iCloud Drive. Here you can control which apps have access to your iCloud drive and whether or not they can use Cellular / Mobile Data. Manage your Storage: Settings > iCloud > Storage. From here you can see how much storage you have, how much you have left, and whether you want to buy any more. Family Sharing: Rather than have your iTunes account on all your family’s iPhones and iPads you can now set up Family Sharing for up to 5 people. Go to Settings > iCloud > and follow the set up procedure. Send last location so you can find it even when the phone is dead: Apple’s added a cool hidden feature that will automatically send the last know location to Apple when your battery is critically low. Even if the battery dies as you’ve lost the phone behind the back of the sofa you can still at least have some idea where it got to. Time-Lapse something: A setting in the camera app lets you create a time-lapse video with little to no effort. Just swipe sideways in the camera app to reveal the Time-Lapse mode. Once you’ve worked out what you are going to film press the record button. You should film for at least 30 seconds to see the effects. Record video at 60 fps: If you’ve got the new iPhone 6 or iPhone 6 Plus Appleoffers you the chance to record 1080p at 60fps but turns it off by default. To turn it on go to Settings > Photos & Camera > Record Video at 60 FPS and turn it on. To switch between 30 fps and 60 fps click on the icon in video mode when you go to record. AE/AF Lock: To change the exposure or the focus of your shot, tap anywhere on the screen and it will change instantly. To lock that exposure or focus (great for dramatic panoramas) press and hold on the screen until the square box “locks in”. Changing exposure on the fly: Once you’ve found your focus point (the big yellow square) in the Camera app press on the small sun icon and swipe up or down to change the exposure setting. Up to make it brighter, down to make it darker. Activating Timer mode: In the Camera app there is no a small stop watching looking icon next to the button that lets you switch cameras from front to rear. press it and then select whether you want it on, 3s or 10s. Once on when you take a picture you will get a count down on screen so you can see when its about to snap the shot. Burst Mode: Users can snap photos in Burst mode by either holding their finger on the shutter or on the volume key to take a burst of photos as the action happens. Once you’ve taken a Burst of photos you can then choose your favourite one, although iOS 7 will try to do this for you. To select the one you want, press Favourites, and then select the one you want to use. The one Apple has chosen is represented by a grey circle underneath. To delete a photo Burst go to Photos select the photo Burst (it will look like it has two further images stacked behind it) and press on the delete key. It will ask you whether you want to delete all photos from this Burst, click on the red words “Delete Photos”. Straightening your photos: You can now quickly and easily straighten your photos. To do so select the cropping tool in Photos > Edit and then move the dial that appears on screen. Search Photo albums: Go to the Photos app and press on the magnifying glass. Immediate suggestions include narrowing your image results by Nearby, One Year Ago, and Favourites however you can type in lots of different searches like places or months. All the shots I’ve taken in March in London please. Upload Photo Bursts: Settings > iCloud > Photos > Upload Burst Photos. Doing this will back up all the photos in the burst rather than just the favourite one. Favourite your favourite photos: If you’ve got photos that you want to mark to show others quickly later rather than searching or scrolling for them you can favourite them instead. To do this simply find the image you want to favourite and press the heart button. To find them quickly to into the Photos app and press on the Albums icon at the bottom right in the Moments view. Then select Favourites. Better viewing Shared activity: Turn the phone or iPad sideways. It looks nicer. Quickly finding a photo in Years: To quickly scan the hundreds of images you’ve taken over a year simply press and hold your finger on the screen and run it over the images you’ve got. Like scanning through a YouTube video, moving your finger will reveal a quick thumbnail of the pictures you’ve taken. See where you took a photo: In the Moments page in Photos tap on the location of where the collection of photos was taken and you’ll be able to see on a map where in the world you were when you took it. Hide a photo: Find the photo you want to hide from Moments, Collections and Years, and do a long press on the photo itself. When the option comes up to hide, select that option and then confirm your choice. The phone is still available by Albums. Turn on iCloud Photo Library: To turn on the new iCloud Photo Library feature that will mean all your photos are automatically uploaded and backed up to the iCloud go to Settings > Photos & Camera and then toggle the iCloud Photo Library option. To get more info on what it does and how to take advantage of it read our Apple iCloud Photo Library explained: What is it and how does it work? feature. You can’t delete it: Don’t panic, you aren’t going mad, you actually can’t delete the new Apple Watch Companion app even if you aren’t planning on buying the Apple smartwatch. 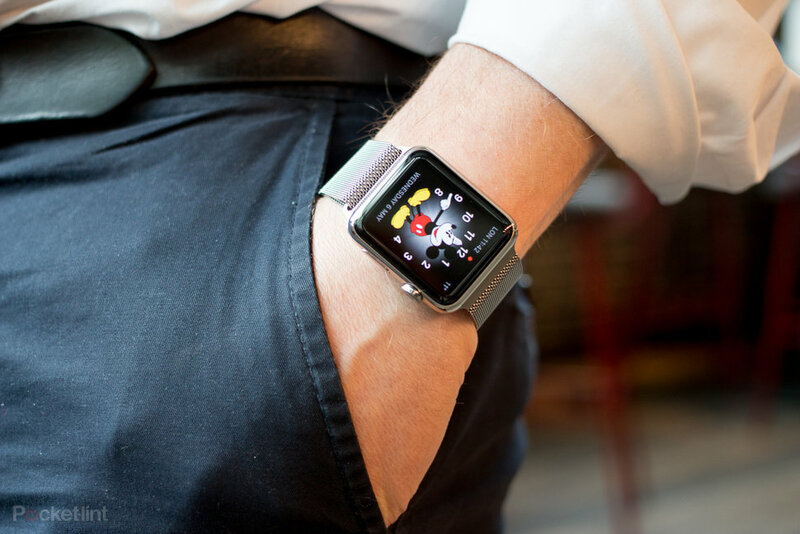 Watch Apple Watch videos: At the moment the Apple Watch app doesn’t do much because the watch isn’t available, but you can watch a series of promotional videos about the new watch from within the app so you can see what it is all about. Everything from short videos about the materials used to how it works is detailed. Apple Watch App store: When the Apple Watch App store does go live you’ll be able to search for all the apps that will work with your watch. Find your Apple Music account: Every main screen in Apple Music has a profile symbol in the upper left-hand corner. Tap it to access account-related settings. Add more music you like: After setting up Apple Music, you can still specify which genres and artists you like. Go to your account, then go to “Choose Artists For You”, and feel free to tap, double tap, or hold down on more bubbles. Unfollow artists in Connect: Apple Music has you automatically follow artists (the ones you liked during setup) in Connect, the social network aspect of the service. To unfollow artists, go to the Following area of your account. You will then see an options to turn off the auto feature as well as unfollow artists. Claim your unique username: While in your account, make sure to claim your nickname/display name. It’ll appear whenever you comment on something that an artist shares in Connect, such as a video. You can also add a profile picture from your camera roll. Use Siri with Apple Music: Siri integration is built into Apple Music, so you can tell her to play a specific song, album, or a playlist. Just tap the home button on your iOS device, wait for Siri to pop up, and ask away. Say, for instance, “Play some Kanye West”. She can even line up what you want to hear next, play the top track from the day you were born, and stream a playlist or a station similar to an artist you like. 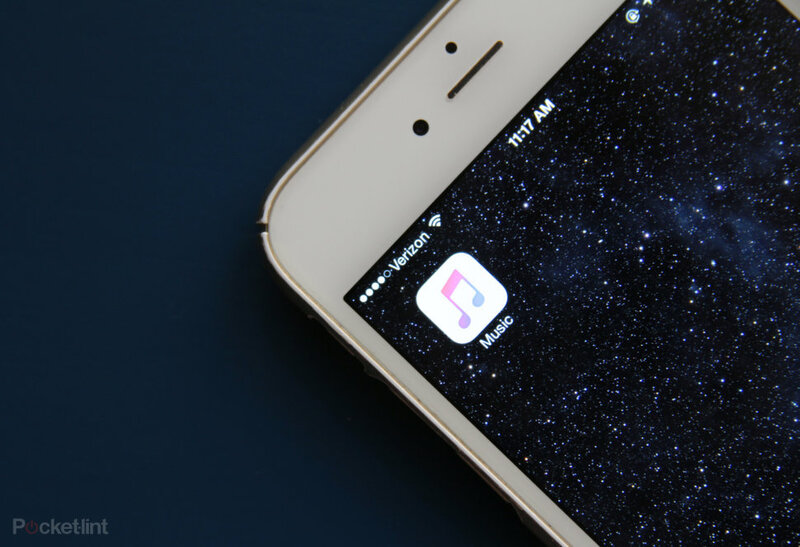 Save music for offline playback: Apple Music lets you download copies of any available songs, albums, or playlists you want to your devices. It’s helpful if you’re going to be out of range. Just go to a song or album, then tap the “…” symbol to see options, and select “make available offline”. There’s no limit to what you can keep offline or for how long. Like tracks from the lockscreen: Apple wants you to like songs in so it can better recommend music. But you can still do this when not Apple Music. Just tap the favourite/heart icon from the iPhone’s lock screen when a song is playing. Browse recent searches: Every main screen in Apple Music has a search button at the top. If you tap in it to search, you can also browse all your recent searches. You just have to also tap the clock icon in the search bar. Cancel your Apple Music membership: Go to your account, then select View Apple ID, and sscroll down to Manage under Subscriptions. You can then turn off automatic renewel and subsequently cancel your membership. This can also be done from your iTunes Account Settings on your PC or Mac. Pre-arm your payment: To help speed up your time at the cashier you can pre-arm your Apple Pay before you get to the counter. To do this go into Passbook, select the card you want to use and then hold your finger on the TouchID sensor. Once complete you have a minute to use the armed payment before it turns off. Load multiple cards: There is no limit to the amount of bank cards Apple Pay can hold so keep loading them in to Passbook.